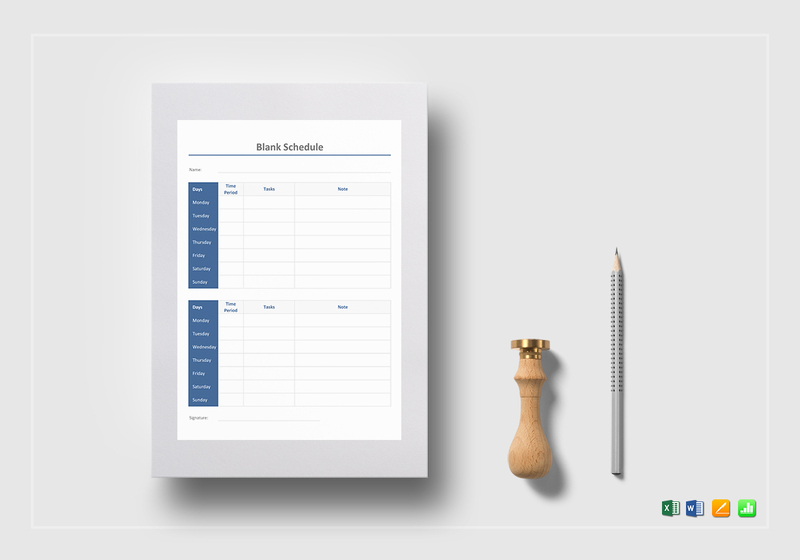 For any schedule template needs, use this Blank Schedule Template and have an effective record keeping tool at your disposal. 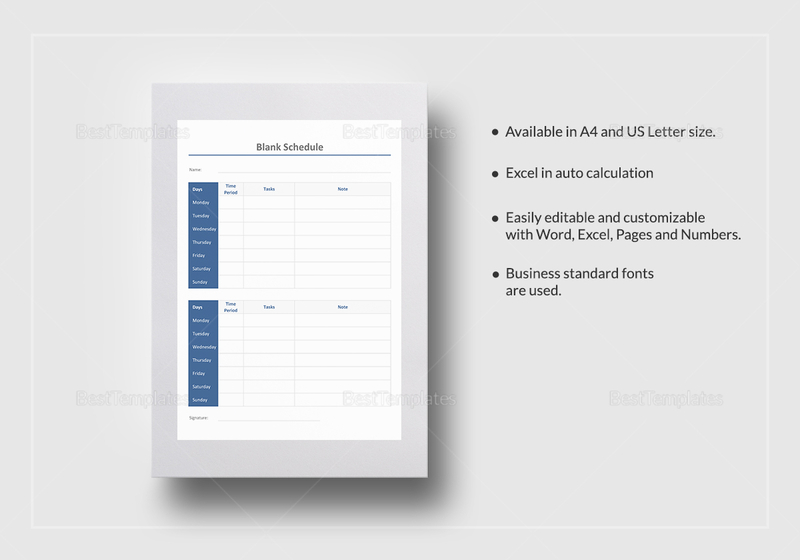 This highly editable schedule template is complete with standard business fonts and available in A4 and US letter sizes. 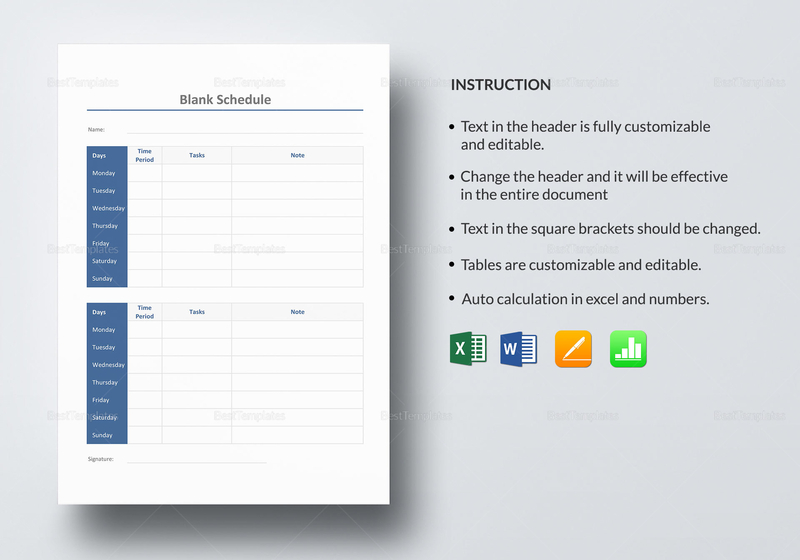 Simply edit using any application that supports MS Excel, MS Word, Numbers, or Pages file formats.